The websites below are a sampling of my work. If you'd like to see a specific kind of website, let me know. The websites below are a sampling of my work. If you'd like to see a specific kind of website, let me know. Also the owner of a thriving coffee shop in downtown Plymouth, MI, Teresa Pilarz helps business owners to build with heart. 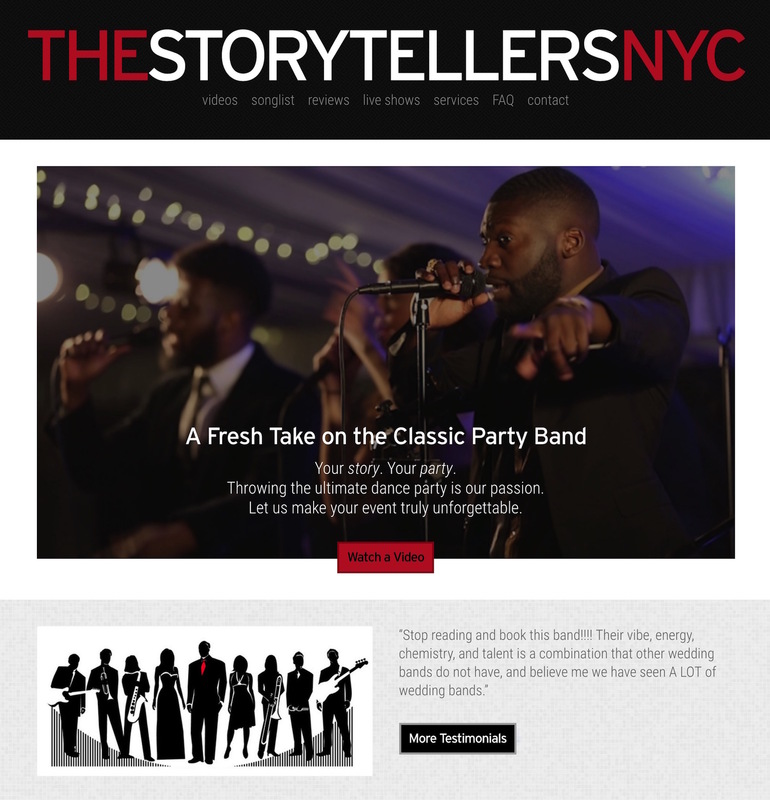 This NYC-based wedding band is one of the most sought-after ensembles of its kind in the region. Young and fresh. This non-profit provides meals, pet care, pantry items, and a whole lot more to homebound individuals in Ypsilanti, Michigan. Maria Sylvester helps her clients to get unstuck, be unstoppable, and SOAR into the lives they desire for themselves. This 25-year old all women jazz big band has been touring the world for decades. Meet the women of DIVA! This Michigan non-profit provides affordable mediation and conflict resolution in Washtenaw County. A Juilliard grad, Alexa Tarantino is one of the most in-demand saxophonists on the NYC jazz scene. Barbara Robertson has more than 20 years of experience helping moms and babies to reach their breastfeeding goals. Funded by a grant at the Univ. of Michigan, Greening the Dental Clinic aims to help dental clinics improve their sustainability practices. In addition to Ellanyze, my "other" career is as a jazz clarinetist and saxophonist. See where I'm performing next.